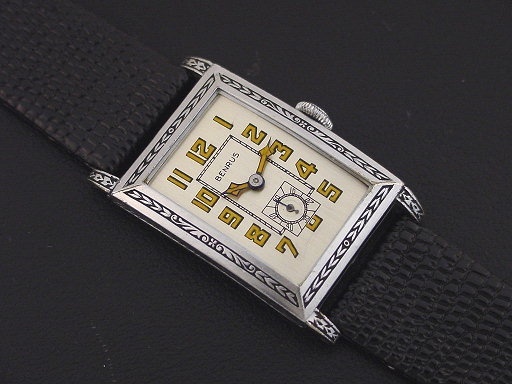 Benrus “Corsair” men’s Art Deco design wristwatch in white rolled plate, circa 1928. 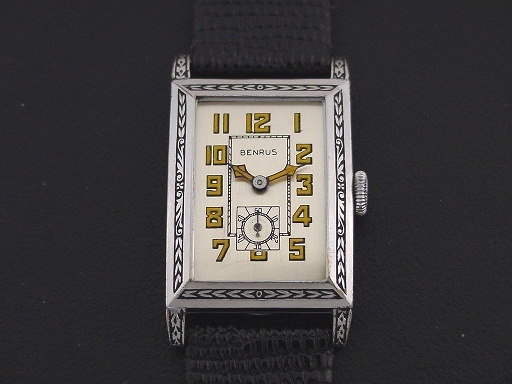 This early Benrus has a thin, curved case with ornate engravings on the bezel and lugs. 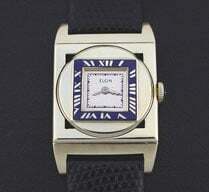 It was priced at $49.50 in 1928. It is excellent condition showing no plating wear. 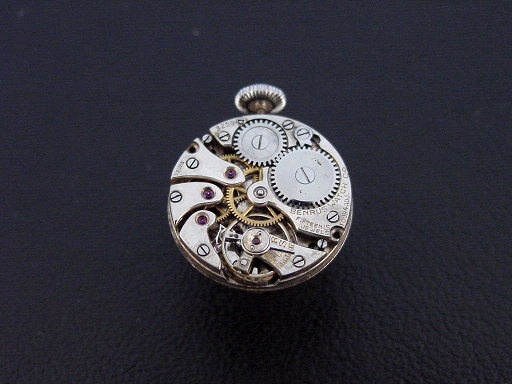 Hinged caseback is excellent, with a thin line of wear along the edges. 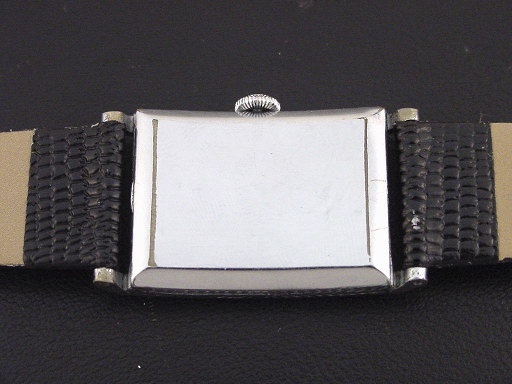 The case measures 39mm long and 23mm wide. Refinished luminous dial is superb. Has new glass crystal. 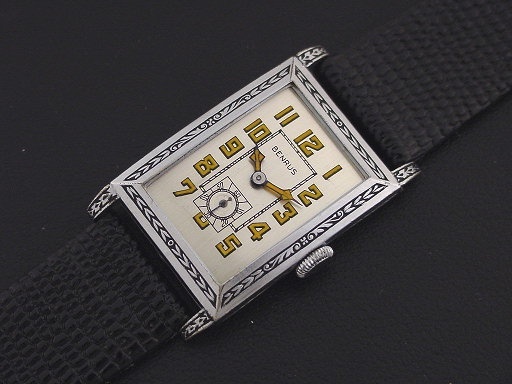 This watch is powered by its correct 15-jewel Benrus manual wind movement, just serviced and running strong.